Andrew S. and Jordan J. split time on the mound. The Spartans had 13 hits on the game. 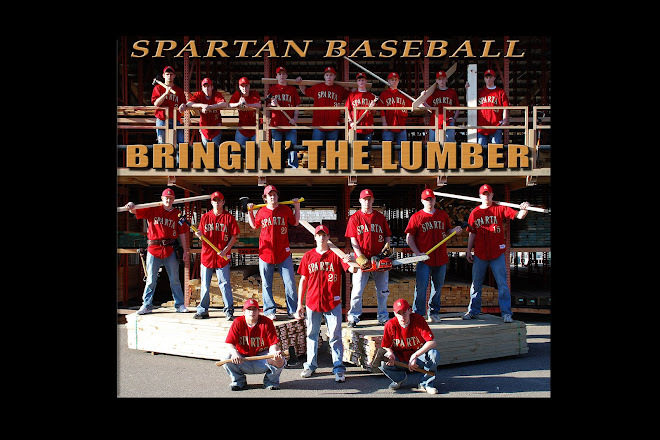 Josh K., Jordan J., Josh N., Andrew S., Jordan L., and Dan W., all had timely hits that drove in runs for the Spartans. "We hit the ball extremely well and had some quality at bats, while limiting our swings to pitches that were in the strike zone. We need to improve on a couple things on the defensive side of the ball, but overall we had a great first game." - Coach Dodge.